If you’ve been leisurely perusing all the chic street style photos from fashion month (you can catch the best fashion week looks here), you will probably have noticed some of the coolest spring trends cropping up on our favorite fashion muses—unquestionably whetting our sartorial appetite for the new season ahead. But what you may not know is that some of these big street style trends can be found at—drumroll, please—Amazon! Okay, so we’re not talking all the big-name designer brands (which you can find readily find at Net-a-Porter and Nordstrom if you’re looking for that). We're talking trendy styles such as neon, leather, croc bags, and chunky sneakers that we want to get in on for the season ahead. 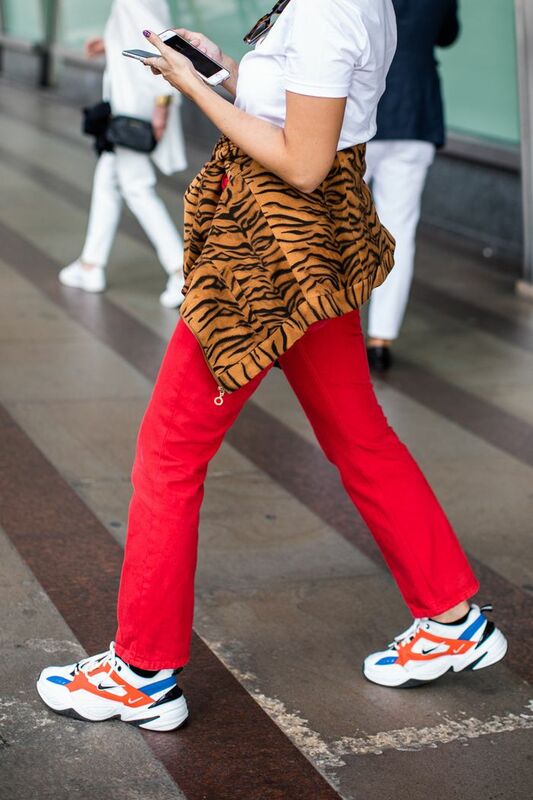 Luckily, we’ve saved you hours of exhausting searching and scrolling the abyss of Amazon to bring you the best trending pieces we spotted on the streets. Here’s to a new spring wardrobe! After a few seasons of wild popularity, we can safely say that chunky-soled sneakers are here to stay. Amazon has plenty of cool colors, styles, and options to put a pep in your step this spring. The utility trend is going strong, with the fashion crowd taking it on in easy and effortless boilersuits in a slightly boxier fit. If there is one accessory trend that caught momentum this fashion month, it has to be hair clips—seen on cool girls everywhere from New York to Paris. The street style set layered them into their hair in all colors, shapes, textures, and varieties. Neon may look like a daunting trend, but when layered carefully with beige and neutral hues, the pop of color can create a truly striking look. From camel to cream, ecru to oatmeal, fashion girls everywhere are wearing 50 shades of beige from head to toe this season. Luckily, Amazon has the perfect options for the beige brigade. Whether you wear it on the waist or stylishly slung over your shoulder (like above), the hands-free bag has true staying power in the fashion sphere. From mock croc to snakeskin, cool girls can't seem to get enough of the textured animal-print handbag. Add an of-the-moment touch to your look with one of the chic options below. Gold chain necklaces were seen all over the spring 2019 runways, and fashion girls have been quick to embrace the edgy style. Luckily Amazon has plenty of options to help you nail the trend. Sumptuous leather separates are having a major moment right now—with the fashion set favoring everything from cropped brown leather pants to floor-length coats. Up next, here's how our editors would spend $100 on fashion and beauty at Amazon.